Deirdre has an LLM in International Human Rights Law from the Irish Centre for Human Rights and an LLB in Law and a Diploma in Legal Practice from the University of Edinburgh. 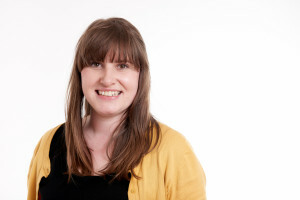 She was the Outreach Coordinator at the Scottish Human Rights Commission, her role was to assist civil society in taking a human rights based approach to their work and to engage more with the UN human rights system including treaty body reviews and Universal Periodic Review. She has gained monitoring experience working for a human rights NGO in Nepal with a particular emphasis on the duty of the state to ensure accountability for human rights in a post- conflict society. She was a research consultant in developing Scotland’s National Action Plan for Human Rights with a particular focus on economic and social rights including the right to an adequate standard of living. She has worked as an occasional case law reviewer for Oxford Publications of international criminal law cases and has additional experience with a criminal defence firm in Glasgow and a commercial firm in Argentina. She has volunteer experience in several fields including advocacy with a focus on the adequacy of living standards of temporary accommodation for refugees and asylum seekers. Deirdre was the first Fellow to write about her experience as a Justice First Fellow for the Legal Voice website in their series "My Justice First Fellowship". This was published in June 2016 and can be seen here. Empower a client group to record and analyse their situation and perhaps become local community activists for increasing standards of living. Develop an evidence base on the impact of UK and Scottish Government regarding on vulnerable groups. Raise the profile of the important work Govan Law Centre does.